Manchester is booming. It’s one of the fastest growing cities in Europe and the UK’s second city, the economic hub of the north – the northern powerhouse! In just the last decade, the population of Manchester city centre has increased from 5,000 to 25,000 people. Total visitor numbers to Greater Manchester stand at 115 million which generated £7.5bn to the local economy in 2014. That’s visitors spending money on food, drink, entertainment, shopping, transport, and accommodation in Gtr Manchester. We’ve gained an army of followers by caring about our beloved city and simply doing things properly. We’ve achieved our goals using the power of media. We like to share the good news and spread the love. I Love MCR® is a positive and trusted voice which can connect your business to a captive audience of over a million people in the north west and beyond who use our platforms regularly. Our heart’s in the right place. Join the movement. Be part of our continuing success story and advertise with I Love MCR®. Give a little, help a lot! We work alongside local charities to help raise awareness of their fund – through various marketing strategies and events. Formerly known as the Lord Mayor of Manchester’s Charity Appeal Trust, it adopted the look and feel of the I Love Manchester campaign in October 2011 ‘because of its association with the positive action taken by residents and businesses’. Registered charity number 1066972. Help spread the love. Advertising revenues across the media are undulating and often falling. 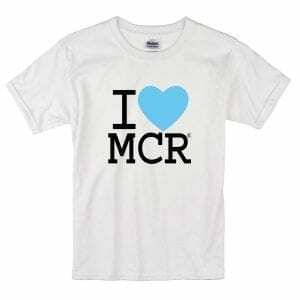 Show your support and love for Manchester by purchasing I Love MCR merchandise and Manchester souvenirs from the online shop. What’s more, a percentage of proceeds from the sale of all items are donated to local charities. Don’t miss out. Follow I Love MCR® on Facebook, Twitter, Instagram and YouTube to keep up to date. Oh and don’t forget to sign-up to our newsletter. 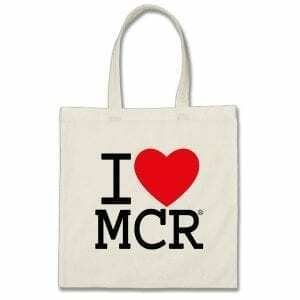 I Love MCR® is a registered trademark. We encourage use of our symbol so long as it’s not for any commercial gain. We only advertise what we endorse or has benefit to the community. We will not endorse gambling nor anything of a political or religious nature. We won’t be bribed by money or payment in kind. We are incorruptible – reviews are always impartial. Paid for content is clearly marked ‘Sponsored’. Advertising requires a minimum commitment of 3 months to ensure maximum exposure.